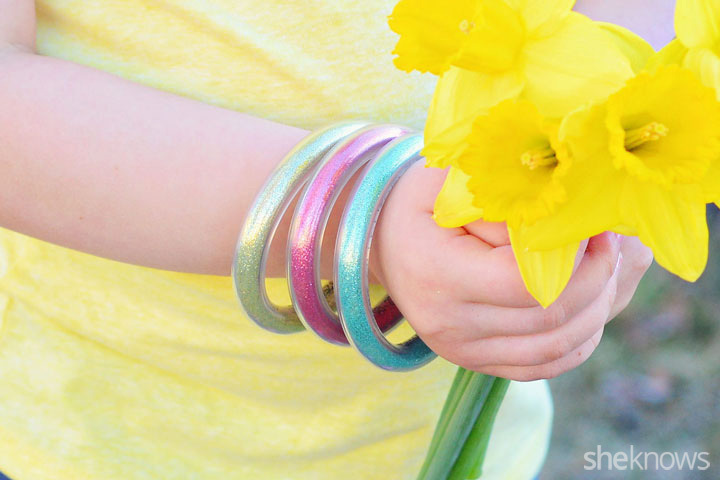 Try whipping up these easy-to-make glitter bracelets that your little ones are sure to love. 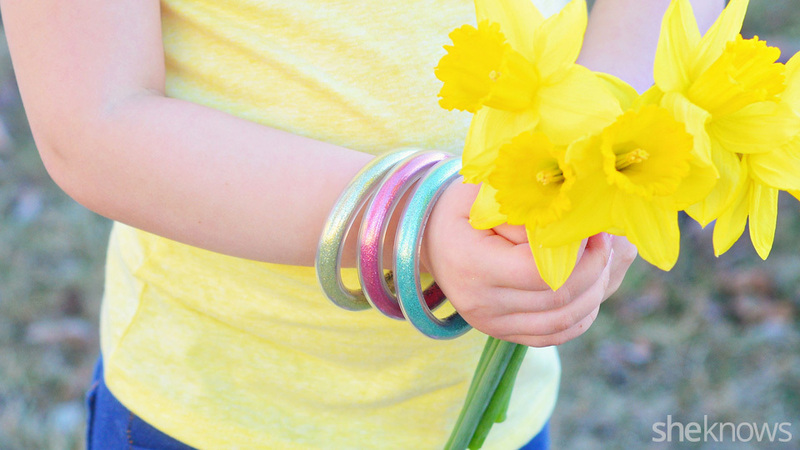 Cut the bracelet to size to fit your child’s wrist. You will want it to be big enough to slide over her hand easily, but not so big that it falls right off. 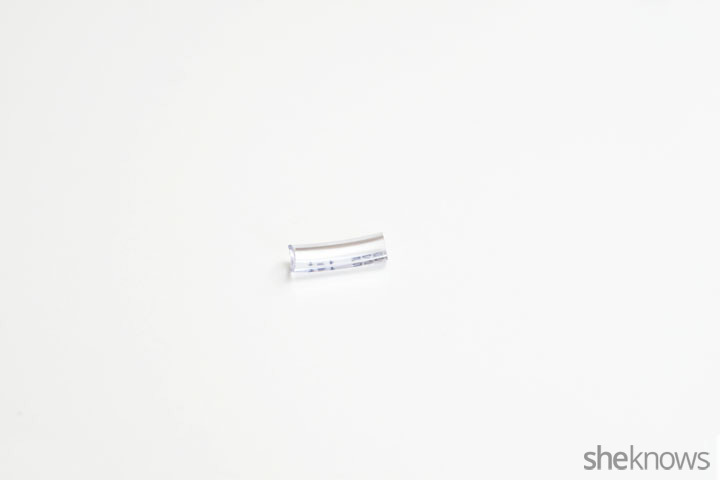 Cut a tiny piece of the small tubing, approximately 1-inch long. 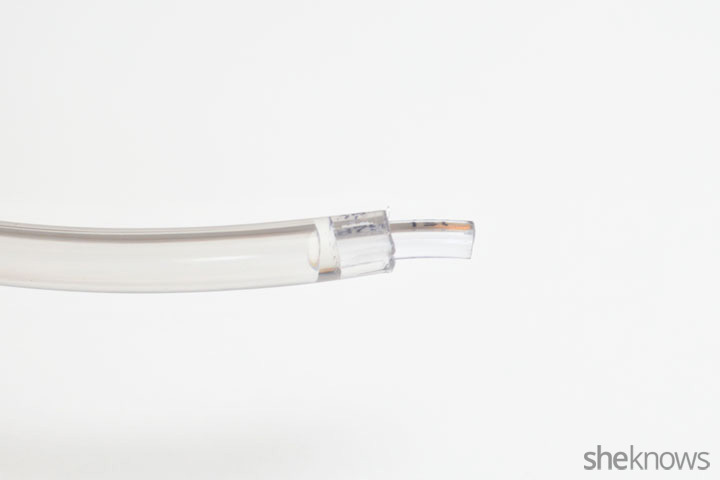 Put a dab of glue in one end of the large tubing. Slide the small tubing into the large tubing and let it sit for about 20 minutes so the glue can set. 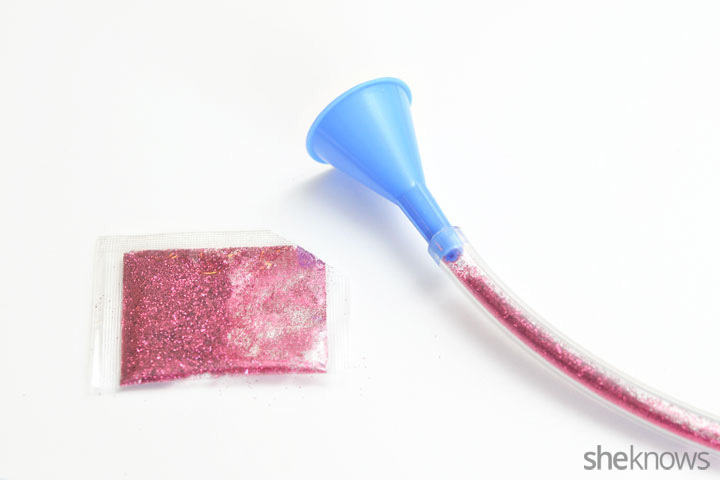 Use a glitter funnel (who knew there was such a thing as a glitter funnel?) to fill the tube with the glitter. You want to leave some space inside the tube for the glitter to move around. Glue the small tube into the other end of the bracelet. 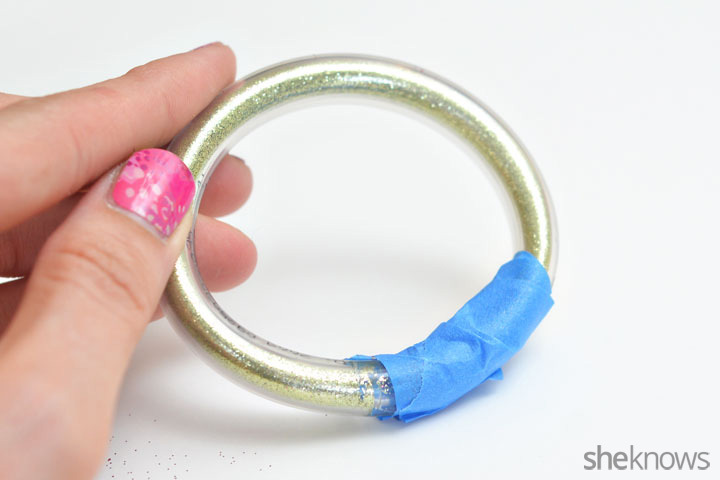 Use a small piece of tape to hold the bracelet together while the glue sets. Let the glue set overnight before removing the tape. 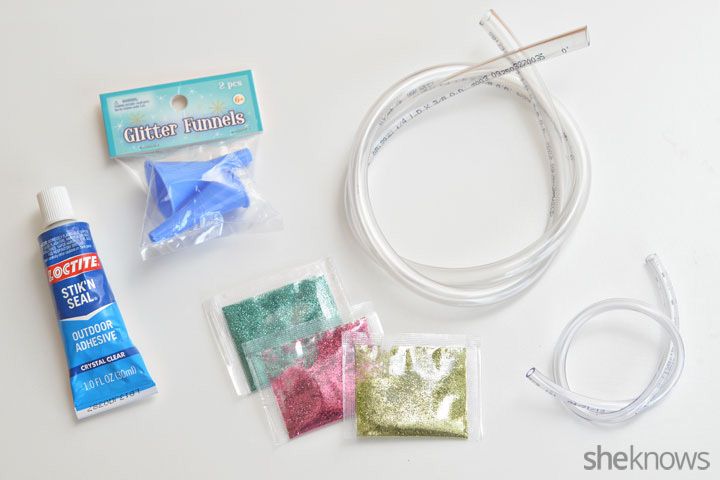 Once the glue has hardened, your DIY glitter bracelet is ready to wear.